Please welcome guest poster Sierra Carter to the blog today! 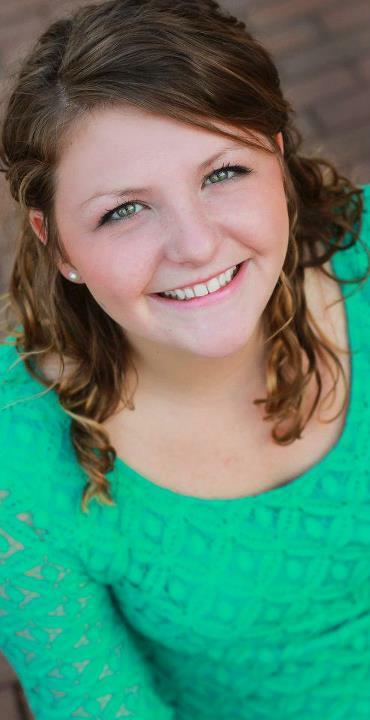 Sierra is a junior theatre major at The University of Central Oklahoma, with big career plans and a lot of heart. Today she’s sharing with us both how it’s easy to get jaded in this crazy career, and the perfect solution to that problem. At this point in my college adventure I am pretty accustomed to the snarls, the confused looks, the insincere “oh that’s great and what do you expect to do with a degree in that?” reactions when I say: “I am a Theatre Performance Major”. I would be lying to you if I said I have never snarled at myself or questioned my major of choice but after today any doubt, any question, has been trumped. Why, you ask yourself? Why did this girl have such an inspiration strike her today? Let me start by saying today started my junior year of college. I was not pumped at all and this is rare for someone like me, I get excited when I buy new cleaning supplies, I can get pretty excited about almost anything. Today, I woke up and dragged my behind to class, clinging to every last inch of summer. I walk into Development of Drama and of course me being who I am I ended up sitting in the most obnoxious chair; even the lightest wiggle and the chair is groaning or making an unfortunate sound that sounds nothing like a fart but you feel extremely uncomfortable as if it was a fart sound. So, here I am, in a fart chair, dreading this class. That’s when my professor approached me, introduced himself, asked my name and continued greeting the 12 other students in my class. (Did I mention I got to college in Oklahoma, not exactly an abundant amount of collegiate theatre kids) My professor is an older man, I am not going to guess his age because I do not want to be completely off but let’s just say he is well into his years. Typically on the first day of class you go over the syllabus, learn about what is expected throughout the course, learn the policies, ect. Yes, we did do that but as he was explaining the assignments to come you could see the spark in his eyes, the passion he has for the theatre. It was beaming off of him, his excitement, his infatuation; his love was filling the room. He mentioned the importance of what we are learning and the worldly insight that the theatre gives us. He gushed about how everyone involved with the art gives a piece of themselves to the audience and how the audience in return is changed by you. The audience is vulnerable, they are affected by you as an actor and it truly is a magical thing. This is a man who adores everything he is doing. This is exactly the kind of person I want to be. That’s when I decided that I do not care; if I can live my life being that in love with what I do I will be completely fine. If I can radiate to others the kind of admiration he radiated I will be whole. If you take anything from this post take this; Find Your Passion. What a wonderful way to begin my Junior year. Thank you so much for sharing this poignant and heartfelt story, Sierra. To learn more about Sierra and to follow her journey, check out her facebook and twitter!